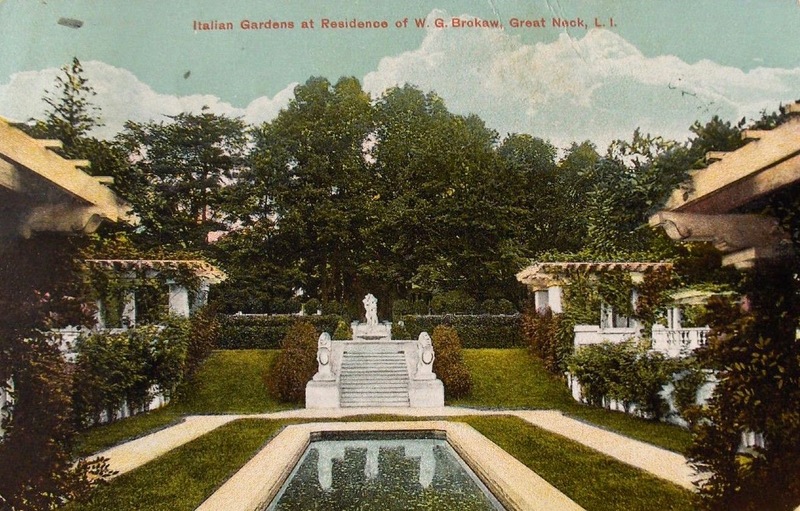 In the gardens of 'Nirvana', the William Gould Brokaw estate designed by Little & O'Connor c. 1900 in Great Neck. Click HERE and HERE for more on 'Nirvana'. Even better perspective on how this formal garden laid out -- this reflecting pool is behind the statue fountain in Zach's June 12, 2014 post. Here you're looking up past the fountain towards the house, which you cannot see from this lower level due to the trees. While this is a lot better than many gardens are done today, I think other gardens at this time were done better. Other opinions?